Our next influencer is Amanda Shapin, whom I was able to meet through my internship this summer. The other interns and I were able to help her with a few projects during our internships and got to know her. She so graciously helped and reviewed a project I had during the job, and I was also able to learn about the healthy lifestyle she pursues – all while balancing a demanding career. I’m so excited for you all to read Amanda’s advice, as it shows that you really can balance work and play, and that we can all rise to the top in our own way. A: I’m the Senior Manager of Integrated Marketing at Seventeen. During college I had a number of Editorial internships [InStyle and Self to name two] and after graduating and moving to NYC I landed a job in the marketing department at Lucky Magazine. I spent two years at Lucky and then made a change, trying my hand in television. I did consumer marketing at Bravo and at IFC for a few years before about a year ago, returning to the magazine world at Seventeen. A: I went to the University of Michigan [go blue!] and majored in psychology and communications. A: Fortunately, I have not had much of an issue with negativity towards women in the workplace. The industries I’ve worked in are very female-dominated so in my career thus far I’ve been surrounded by very strong and successful women. A: Absolutely….like all the time. It’s easy to compare yourself to others and think that you don’t stack up. This is especially true with social media, everyone around you seems like they are living a perfect life while you may feel like you are struggling. I try to remind myself that people are projecting their best selves via social and you have no idea what is happening behind the scenes. In terms of work, there is something known as the “imposter syndrome”, that despite actually being quite competent, you feel like a fraud and that you don’t deserve the success you’ve achieved. I used to think like this a lot, questioning am I any good at what I do? Is everyone around me more competent and better at their job? I had a conversation about this with some of my girlfriends [who are all very successful!] and was relieved to find out that I wasn’t the only one feeling this way. This was a couple of years ago, and since learning that this is a common feeling, I have risen above it, reminding myself that I am competent, I am smart, and I am a valuable employee. A: I think it is super important to find things outside of work that you are passionate about. If you are 100% passionate about your job, that is great, but it’s also key to have interests outside of your office. I’m passionate about fitness and healthy living. This side passion has turned into a mini career, I teach cycling classes in the morning before work and I run the blog ShapinUp.com. It makes for a hectic and exhausting schedule trying to balance my job, teaching and blogging, but I love it and it makes the lack of sleep worth it. A: Two women that I think are making a difference are Sheryl Sandberg and Mindy Kaling. If you haven’t read it yet, get your hands on a Lean In. While not everything will apply to you and your career path, every woman can take away something important. It teaches you to make moves in your career, sit at the table, have your voice heard and achieve your goals. And Mindy Kaling, well I just love her. She’s a perfect example of working hard to get where you want to be. She had big dreams that she went after. She’s a role model for confidence and not backing down. I loved her first book and Why Not Me is next on my list. A: When relaxing, you’ll either find me on a walk with my pup Ollie, out for a run in Central Park, testing out a new recipe or catching up on embarrassing TV shows like The Bachelor or anything on Bravo. A: I would tell my 20 year old self to chill out. My senior year of college I was freaking out about finding a job. In magazines, you can’t find a job in advance, something has to be open and you have to be there, ready to start, so worrying in January was getting me nowhere, finding a job would have to wait until graduation. Of course I encourage everyone to start making connections early, but make them about genuinely meeting new people and exploring career paths, less so about landing a job right off the bat. And along with that, I wish I had taken some time after graduating before immediately moving to NYC. I was so focused on getting to the city; I feared that if I took any time off after graduating, all the good jobs would be taken. I moved to NYC about a week after graduating and took the first job I was offered. It had nothing to do with my desired career path and I was miserable, I quit less than two months later. Looking back, I wish I had given myself a couple of months to travel and explore before moving to the city. I also wish I wasn’t so freaked out about getting a job that I was willing to take any job. While I don’t suggest being super picky when searching for your first job [I mean we have to pay the bills and eat after all! ], I don’t recommend jumping into something due to fear. Think carefully about the job you want and how it will help your future. And don’t freak out, something will work out! A: Girl em[Power]ment to me is standing strong, believing in yourself, knowing you are enough, and also helping out your fellow girl! There’s enough success for all of us, don’t feel like you have to outdo your competition, we can all rise to the top in our own way. Hopefully we can all follow Amanda’s advice to make genuine connections, find things outside of work that you’re passionate about, and also believe in yourself – as it’s something we probably all struggle with in some way. 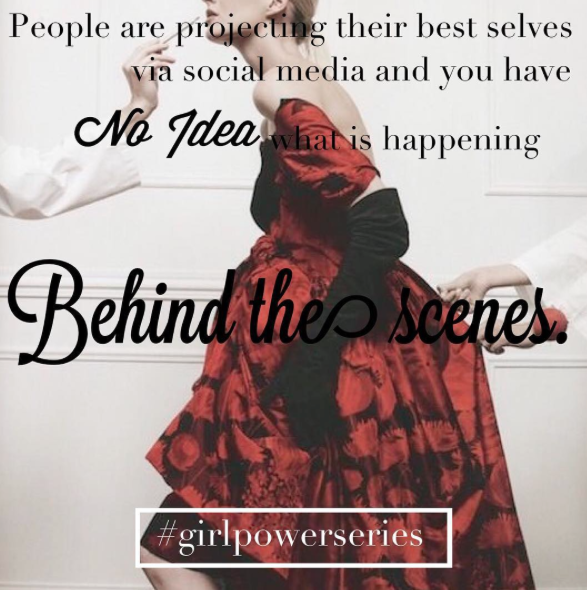 Keep following along to hear from our next Girl em[Power]ment series influencer! Posted on October 4, 2015 October 12, 2015 by flancake13	This entry was posted in Girl em[Power]ment Series and tagged girl boss, girl empowerment, girlpowerseries, instyle, lucky, seventeen, seventeen magazine, shapin up. Bookmark the permalink.